With just a few weeks to go until the runners and riders are in their stalls ready for the off, bookmakers are beginning to speculate on which pairing will come away victorious in this year's King George VI Chase presented by William Hill. Although it's set to take place after the turkey has been carved, the 2015 Chase at Kempton Park looks to have all the makings of a Christmas cracker. As ever, the Boxing Day event will be littered with talent; currently heading the pack as the clear favourite is Vautour. Coming off the back of a highly impressive novice season, Vautour looks to be the horse to beat this year. Many bookmakers, including the headline sponsor William Hill Sports, are currently pricing the in-form runner at 5/2 to win. Fuelling the fire beneath Vautour heading into the Kempton showdown are his powerful performances at Cheltenham and Ascot. As well as showing he's a strong front runner by demolishing the field by 15 lengths in the JLT Novice Chase, Vautour then went on to prove he can grind out a convincing win under pressure in the Stella Artois 1965 Chase. Yet, if the chasing pack gets anywhere close to Vautour like Ptit Zig at Ascot, then the outcome might be different and punters may want to look elsewhere for a safe bet. Despite being a strong horse, Ptit Zig isn't set to match up to Don Cossack, who will enter the race in fine form. For this season's tipsters there have been few better horses in England or Ireland than Don Cossack. The Gordon Elliot-trained eight-year-old was awarded the top-rated National Hunt chaser in 2015 thanks to wins in eight out of nine starts. This pedigree has pushed William Hill Sports to offer odds of 4/1 on Don Cossack, a sentiment that's been echoed across the industry by the likes of Ladbrokes Sports and Coral Sports. However, despite jockey Brian Cooper suggesting that Don Cossack will "set the standard" in the Chase, there are concerns that his last two outings weren't enough of a test. Comfortable wins against soft fields at Punchestown and Down Royal could cause the German-born chaser to take his foot off the gas heading into the King George. Although unlikely to be the case, this outcome would be nothing short of a disaster for his confident team. Indeed, aside from Vautour as a legitimate contender, Cue Card appears to be a different horse following a successful operation on a trapped epiglottis. According to trainer Colin Tizzard, Cue Card looks to be back to his best this year. A comfortable win at Haydock in the Betfair Chase has seen many bookmakers, including William Hill Sports, slash the runner's odds from 10/1 to 5/1. On top of his current form, history also seems to be on the side of Cue Card. In the last eight years, four of the previous winners of the Betfair Chase have gone on to win the King George. However, if Cue Card is going to take the Chase crown on Boxing Day, he'll have to do it by seeing off one of his old rivals and the defending champion: Silviniaco Conti. 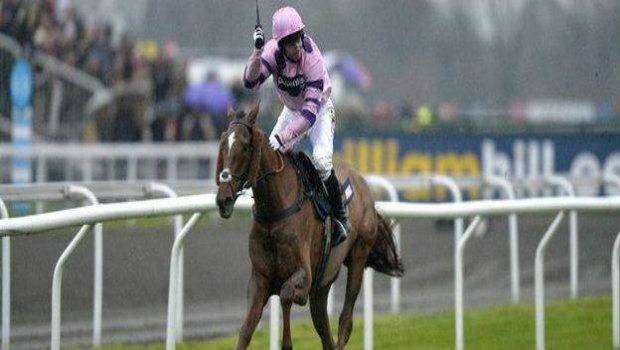 It's well known that Silviniaco Conti loves the ground at Kempton and another strong performance in the Betfair Chase showed that he's close to his best form. In the Silviniaco Conti/Cue Card head-to-head stakes, it's the latter who now leads by four wins to three. That slight edge could weigh heavy on Silviniaco Conti's mind heading into the race; however, at 12/1 with most bookmakers, including Ladbrokes Sports and William Hill Sports, there's certainly a lot of value in the current champion. As for the rest of the field, there is of course always the chance of an upset. However, outside of the four top picks, it looks as though the rest will struggle to steal a win. Coneygree (6/1), Ptit Zig (12/1) and Saphir Du Rheu (12/1) could all push the pace, but it would certainly be a surprise if any of these three storm to victory in the 2015 William Hill King George VI Chase. If you're confident you can back this year's Boxing Day winner, visit William Hill Sports today.